We love making connections with people in our community who are also trying to build a sustainable life. Forming this community is vitally important to us! We'll be adding to this page regularly. Once a month, Spring Lake hosts the local food-buying co-op. Rolling Hills Food Buying Club is open to anyone who would like to buy clean food in bulk for a lower price than what you might find at the store. The group orders from Azure Standard and a huge truck comes to Spring Lake to make the delivery. We have storage available at Spring Lake so that people who can't meet the truck, can come later in the week to get their orders. We have a good friend who blogs at Fool a Carnivore about delicious recipes without meat. Nancy loves to use our produce in her recipes, so it'll be easy to make her recipes. Meaty Main Dishes...Minus the Meat! Off the Square is a local restaurant here in Albemarle that makes delicious meals using local products (including our greens!). We highly suggest the crème brûlée, which does not have our lettuce in it but is amazing anyway. Nancee Bowers, a holistic nutritionist, owns Albemarle Nutrition. They offer vitamins, herbs, diet products, sports nutrition and supplements, organic foods, local products, and freshly made smoothies. 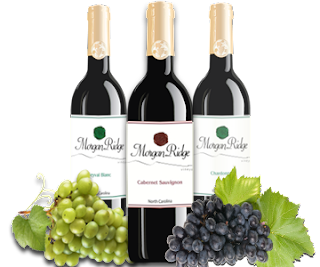 Morgan Ridge Vineyards is a beautiful restaurant situated in a gorgeous vineyard. The food and wine are absolutely amazing! Of course, their wines are locally made, but they also source as much of their food locally as they can.